As part of a ‘mini-series’ of virtual events happening at the beginning of every month, MarketingProfs has collected a number of speakers including Sara Erzin from CheetahMail, Greg Cangialosi of BlueSky Factory and Scott Voigt of Silverpop to discuss topics ranging from email segmentation to social media and lead nurturing. With thousands of people registered for these events, I’ve decided to provide a summary of the three presentations for any that couldn’t attend. The first presentation was Email Segmentation Made Easy presented by Sara Ezrin, a Director of Services at an Email Provider, CheetahMail. While the presentation focused on B2C, highlighting segments, such as those who abandon carts, best practices from the session could be applied to B2B organizations. 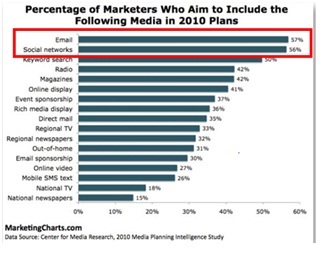 So why is Email Segmentation important anyway? Why should segments be developed? A final note: Once you create segments your work is not done. Make sure you are testing both the segments themselves and how well your emails are working with them. Make sure you are tracking what you are testing, and apply lessons learned across all your campaigns. The next presentation was Maximizing Email with Social Media from Greg Cangialosi of BlueSky Factory. 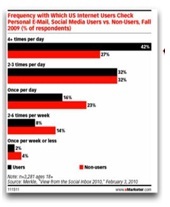 People are using both email and social networks- and for good reason. It’s causing success. A big worry is that social media will hurt email, but the opposite is happening- they are enhancing each other. 2. Social Media campaigns to drive email subscriptions. There are many ways to do this, but typically you are either sharing information about a white paper or newsletter via a Tweet or permantly posting a link up that resides in a social media page that allows someone to subscribe to your emails without ever leaving the social media site. 3. Email campaigns that include social sharing links that help email recipients share the content you have created with others who have not opted-in via social media. This has the ability to increase the reach of every one of your emails with no extra cost. 4. 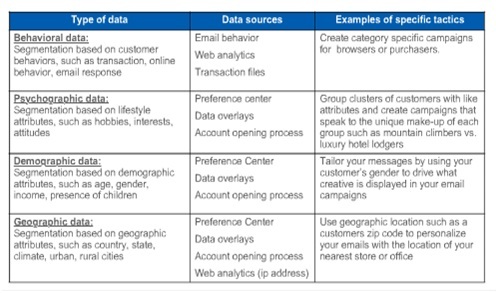 Creating a social graph with email. This is the most important part because it truly allows you to merge the two mediums. Essentially, because many people use the same email address for their subscriptions to your email site as they do in social media it can be the way you marry this data together. It allows you to build profiles, understanding who your most influential subscribers are or to tell which offers you should deploy in social media versus those that will work best in email alone. Application through B2B was presented, but only briefly. It was simply stated that social media and email can help B2B companies become an authority or become a friend (not just a resource) to those using them together. The final presentation entitled, Nurturing Prospects through the Pipeline, was by Scott Voigt of Silverpop. Work with sales to develop a process of what should happen with leads and then provide them information about what leads are the best for them to spend time with. To do this, use lead scoring. Lead scoring is a top priority for nearly half of B2B Marketers, according to Forrester Research, but according to the presentation most do not score, and those that do were better able to turn leads into opportunities. Next Scott talked about Lead Nurturing. He said lead nurturing is rules based marketing that drives relevant messaging given a contact’s stage in the buying cycle. It’s like smart email marketing for B2B companies. As we can see from these goals, it’s usual to get a response often. Because of this, the presentation reminded watchers that they need to create a compelling offer to drive that response. Nurturing doesn’t just have to be emails- it can be a piece of mail or a sales call. Think about how all these methods can work together to nurture your prospects. The important message here is that this process can be automated, allowing the rep to focus on active leads, and notifying them if the recipient reacts to the message in some way. Although I didn’t include a summary of these, each presentation had a case study that accompanied it. If you want to learn more, it’s worth going back and watching these sessions, including the case study.